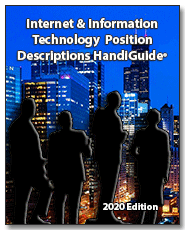 Janco has just completed its review of the IT executive compensation. 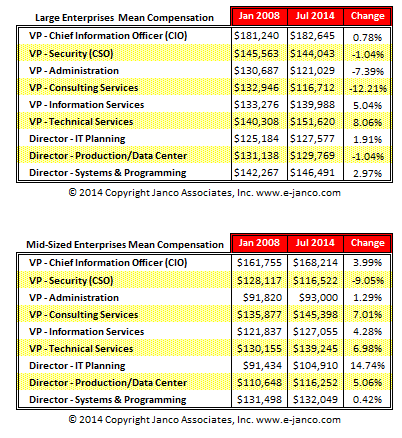 In reviewing that data Janco concludes that mean compensation for CIOs and other IT executives have finally gotten back to where they were in 2000. 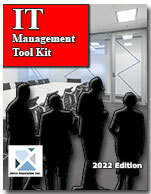 In large organizations there are two exceptions: the VP Administration and VP Consulting Services. In mid-sized companies the one exception is the CSO. The major challenge for the CIO is managing the information technology affairs of the enterprise with revenues in excess of $(sales volume supported) per year while balancing technological and operational needs with financial and marketing needs. This is to be accomplished with the use of computer and communication technology that supports both self-generated growth and growth through acquisition. Seamless integration of data and information from the customer through financial statement and management reporting is one of the primary challenges of this position.